A bird flies by the Vedanta office building in Mumbai. Plagued by the sheer size of the funding required, and with environmental concerns weighing heavily, Indian mining group Vedanta Resources has restructured a US$6bn acquisition loan to reduce syndication risk and access a broader range of investors. Vedanta Ltd shares fell sharply on Feb. 1 after the Indian mining group disclosed a unit of the company has made an investment in fellow miner Anglo American. The seller is the company’s founder Anil Agarwal. Mumbai-listed Vedanta said on Jan. 31 that its foreign unit Cairn India Holdings had paid a “part sum” of $200 million to buy a position in Anglo from Agarwal’s Volcan Investments, Vedanta’s ultimate parent company, as a part of its "cash management activities". The transaction, which took place during the quarter ended Dec. 31, bought what the statement described as an economic interest in Volcan’s structured investment in Anglo. The ownership of the underlying shares and the associated voting interest remains with Volcan, it said. Volcan currently controls around 20 percent of Anglo’s shares via bonds that convert into equity in 2020. Vedanta added that Cairn’s investment had performed positively on an unrealised mark-to-market basis. 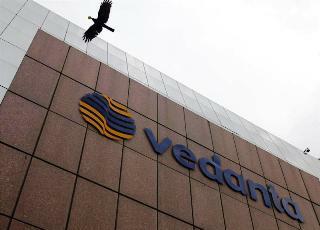 Vedanta shares were down 17 percent as of 0950 GMT on Feb. 1.